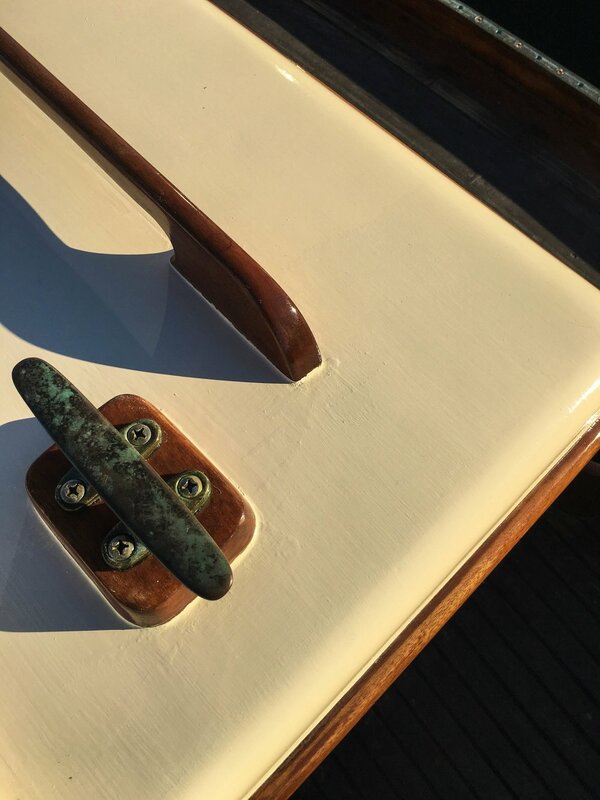 The art of wooden boats inform us. She is as lovely and stout as she is graceful. A lovely winning sloop in the Master Mariners Classic Regattas. Bright hull beautifully maintained with a tender care and now tenderly passed on to a proud new owner! 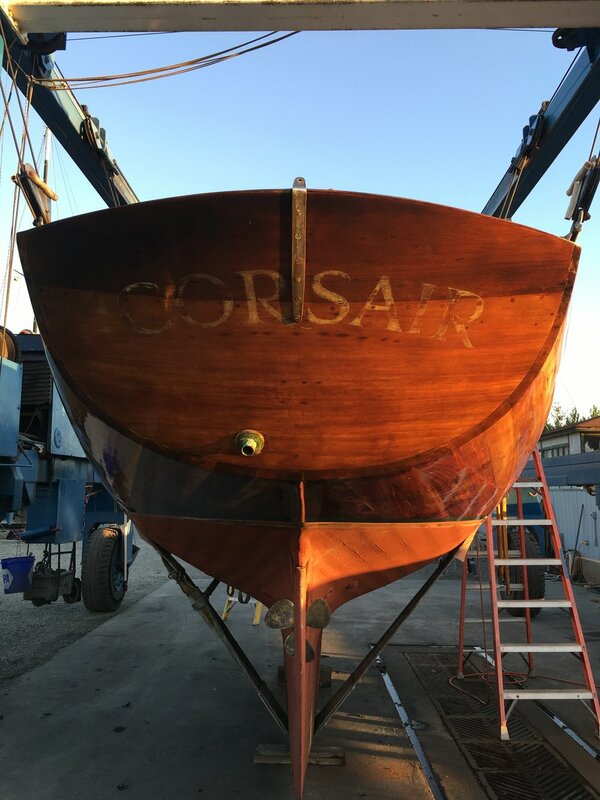 Corsair is a twenty-eight foot beamy sloop designed by Slabby Larsen and built at the famous JENSEN boatyard in Denmark in 1960. She was shipped over in a container to the US and landed in Oakland where she embarked on her life in the San Francisco Bay. Completely retrofitted in the 80's, she came to her recent owners hands as a yellow painted boat in 2012. Then began her transformation into a bright hull and many other upgrades. 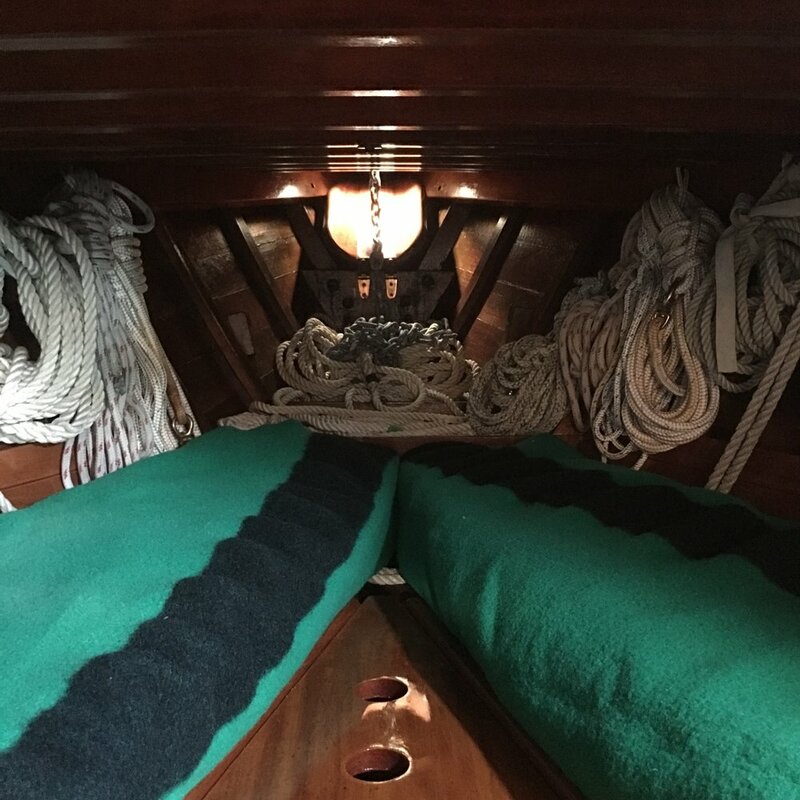 Extensive work by shipwright Bruce Tipton of Port Townsend, 2016. Recent yearly haul out 2017/2018, varnish and bottom job, new engine water pump installed and new battteries! She’s well maintained! She is a fine live-aboard actually with a spacious 9-6 beam. As her Boatright said; "She's a big little boat." Congratulations to her new owners! CORSAIR is a treasure. A perfect coastal small cruiser but stout enough for big seas. 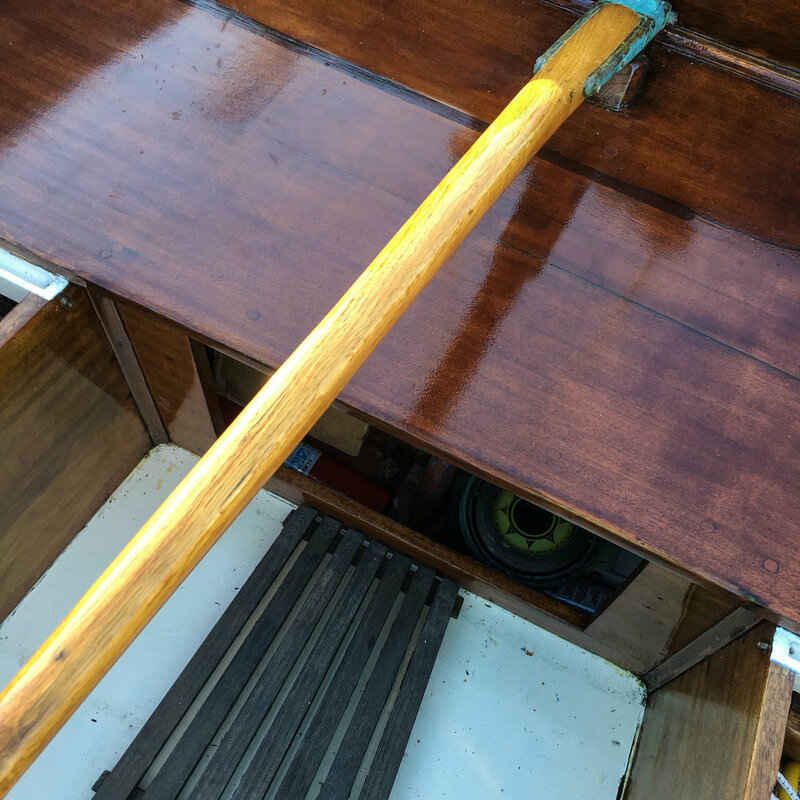 Rudder: Oak horn timber and mahogany. A sturdy engine for a small boat which really makes a difference in a big tide. Holding Tank: 2014 10 gallons with sanitation hose and 2 airvents. "Systems are well installed and operational." Lighting: 12v lighting interior and exterior. So surprisingly generous down below. 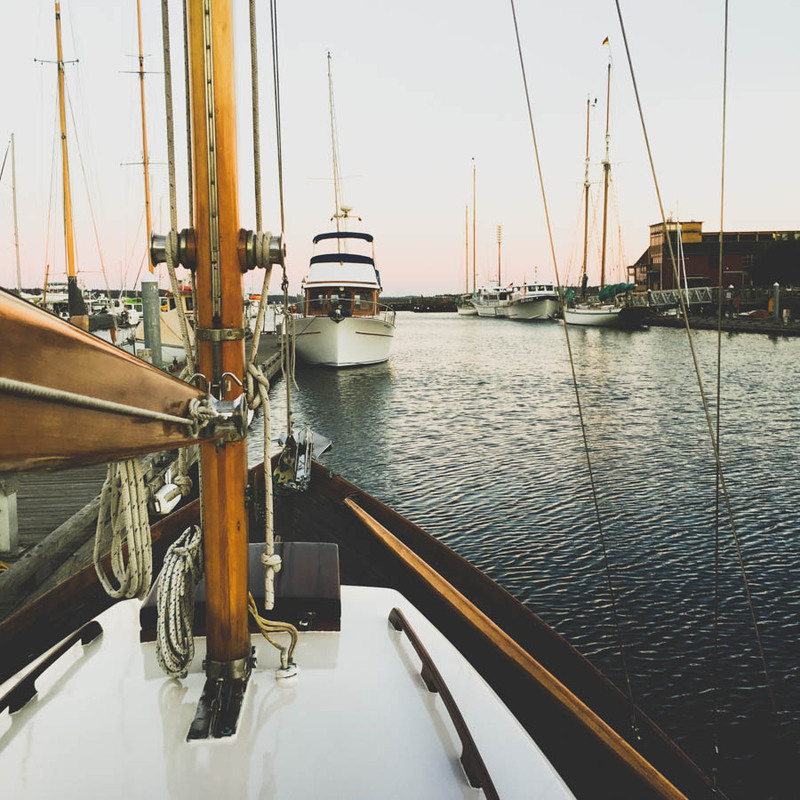 Currently moored in the Point Hudson Marina in Port Townsend Washington. Awarded the Best Elapsed Time in the Master Mariners Regatta. Love it.